Ben Affleck has revealed that he is still invested in the role of Batman as it was his dream to play the superhero while growing up. 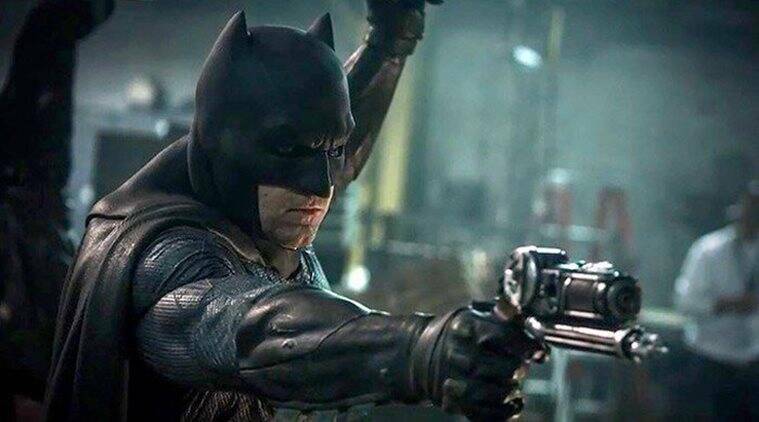 There were reports that Affleck would no longer play Bruce Wayne after "Justice League", especially after he dropped out of directing the upcoming "The Batman" movie. Ben Affleck will appear as Batman next in Justice League. Actor Ben Affleck has revealed that he is still invested in the role of Batman as it was his dream to play the superhero while growing up. There were reports that Affleck would no longer play Bruce Wayne after ‘Justice League’, especially after he dropped out of directing the upcoming ‘The Batman’ movie. However, in an interview with Geek Magazine, the 45-year-old actor said the role has been a special one for him. “Playing Batman was a boyhood dream come true for me, so playing Batman alongside the Justice League? I mean, what can you say? “The first time we all stood on set in costume, we just looked around at each other and you could tell it was a big moment for each one of us,” Affleck said. The star previously reassured fans that he would star in Matt Reeves’ upcoming DC movie, saying he was “the luckiest guy in the world”. Justice League will also star Gal Gadot as Wonder Woman, Henry Cavill as Superman, Jason Momoa as Aquaman, Ray Fisher as Cyborg and Ezra Miller as The Flash. This film, for the first time, brings together the greatest DC superheroes who will work together against a common enemy in the vein of Marvel’s Avengers series. Previously, Superman and Wonder Woman have appeared in their standalone films too. Superman appeared in Man of Steel and Wonder Woman appeared in this year’s Wonder Woman. Previously Justice League was directed by Zack Snyder but he had to withdraw owing to personal reasons and Joss Whedon (who has also helmed the first two Avengers films) was brought on board. The film will release on November 17.